Club USA’s 15,000 sq ft Littleton weight training facility is well-equipped for all levels and varieties of training styles. If you enjoy the power and strength achieved through lifting free weights you’ll be happy to know our dumbbells range from 3 to 150 lbs. We also offer in our weight room plate loaded Hammer Strength equipment, Magnum, & HOIST equipment along with Simplicity, Cybex and Magnum selectorized pieces. 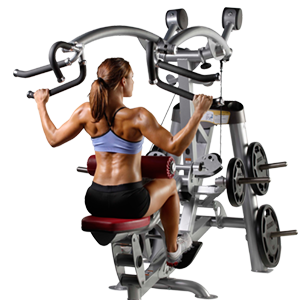 Cybex multi-functional trainers, Smith press machines, cable crossovers, and pre-made straight and curl bars are available to help you achieve a full body work out. Our weightlifting gym has the equipment you need to increase your power, speed and energy. Try a 3 Day Trial Membership today! Want to get in a quick workout? Try our Littleton weight training Magnum circuit set designed to tone all the major muscles and core in a quick efficient manner. For those who like to train the body as a whole and not as individual parts we offer easy access to our track for exercises requiring movement and BOSU ball, bands, Physio balls, and medicine balls to enhance your total body training. No matter what strength goals you have, Club USA Fitness has the equipment and certified personal trainers to help you get results. Contact us now and get started today! Our fitness department is geared toward maximizing your opportunity to achieve all of your fitness goals. All new members will receive a complimentary weight room orientation with one of our certified trainers, or a free fitness consultation with our fitness director to discuss goals, and the best path toward achieving the results you desire. So why wait? Club USA’s Littleton weight training facility has what you need to get results and hit your strength, energy and speed goals.